The choirs at Riverview High School have been in existence since the school’s opening in 1958 and have held a long history of musical and performance excellence. The current program consists of over 100 students, five different choirs under the direction of David and Whitney Verdoni and a dedicated group of parent volunteers that help make the program exciting and vibrant. All students at Riverview are welcomed to join one of the five choirs in the program. The Beginning Ladies choir and Men’s chorus are open to all students with no audition or experience necessary. Our Advanced Ladies Choir is made up of mostly 2nd year ladies or new students to RHS that audition into the group. Our Mixed Choir is made up of 3rd and 4th year ladies and our men. The chamber choir is a mixed voice ensemble with students from all grades that meets afterschool and is our top group that performs the most throughout the community. Both the Mixed Choir and Chamber Choir require an audition and Director approval to join. Students in our program have multiple performance and enrichment opportunities that allow for musical and personal growth. Our program focuses on exposing our students to a wide variety of choral genres and styles, teaching music literacy skills, healthy vocal production and promoting self-esteem, leadership and group cooperation. 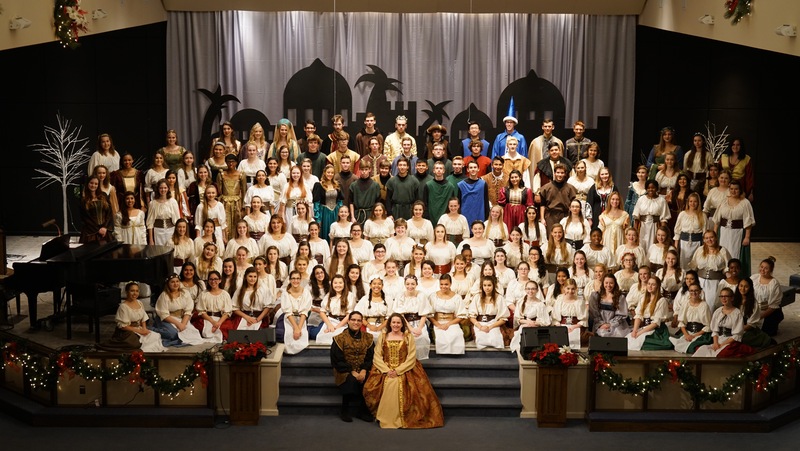 Every year our choirs perform at District and State Music Performance Assessments, enter students into Florida All-State Choirs, present a Fall Concert, a three-night Holiday Concert and Madrigal Dinner Show (aka Renaissance Feaste), Winter Showcase with the Kiltie Band and a Spring Concert. Our choirs often get additional performance opportunities beyond our yearly presentations that have included performances with collegiate choirs and local choirs like the Key Chorale in Sarasota. The choirs have performed in Carnegie Hall (1998, 2000, and 2004) and Avery Fischer Hall in NYC (2012) and have also performed numerous times in Europe including Ireland, Scotland, England, France, Austria Switzerland, Germany, Prague and Italy. Most recently we returned to New York's Carnegie Hall in June of 2016. The choir will be performing along Key Choral in Washigton DC as part of the Smithsonian Folk Festival July 4-9, 2017. All men who sign up for choir are placed in the Men's Chrous grades 9-12. The men meet during the school day and are combined with the advanced women's choir to form the Mixed Choir. No audition is necessary for men unless they are interesed in Chamber Choir. All men remain in this choir regardless of year. Secodn Year Choir (Intermediate): Ladies in thier second year of choir are placed in intermediate ladies choir regardless of year. Students can audition after a year in this choir for the advacned womens choir OR stay in the second year choir for two years and automatically qualify to be in the advanced women's choir in thier senior year. 3rd/4th Year Choir (Advanced Women): Ladies who have been in the choir for three years qualify for this choir OR any lady that has auditioned and has earned a spot in it. Auditions for placemnet in a choir beyond the first year choir: MAY 4th from 9 -12 p.m. in the music building. Please contact Mr. Verdoni to schedule a time on the audition day. Check out our YouTube Channel for Concert and Event Videos. Check out our Tutorial Videos. Please click below to order a subway dinner meal for State. Each 6" sandwich includes chips, a cookie and a drink. The cost is $7.00 per meal and is due to Mr. Versdoni MONDAY, April 22. David Verdoni took over the Choral Program in 2009 after long time Riverview Director and music educator Betty Mullet retired in 2008. Mr. Verdoni was a student of Ms. Mullett until he graduated in 2004. Mr. Verdoni holds a BA in Music Education from Florida Atlantic University and a Masters in Music Education from The Florida State University. He is an active member of the American Choral Director’s Association, National Association for Music Education, Florida Music Educators Association and the Florida Vocal Association. 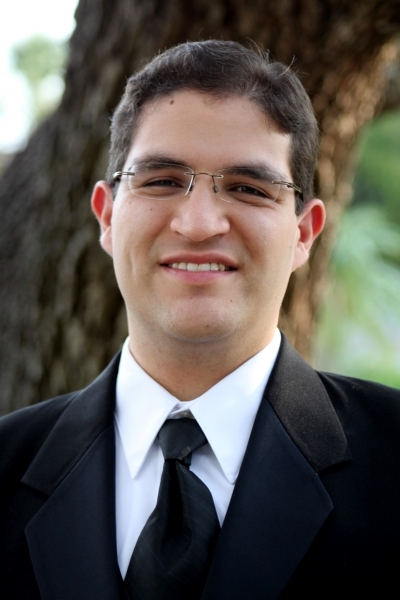 He currently serves as District 11 Coordinator for the Florida Vocal Association. Mr. Verdoni is both humbled and thrilled to have the opportunity to teach in his own Alma Mater and share his love of Choral Music with his students. Whitney Verdoni has been teaching at Riverview since 2010 and teaches 5 sections of Guitar and directs the Beginning Ladies Choir. Mrs. Verdoni is also graduate of Riverview High School and student to Ms. Betty Mullett. Mrs. Verdoni holds a BAE in Music from Florida Atlantic University and a Masters in Music Education from the University of Florida. She is an active member of the Florida Music Educators Association, National Association for Music Education, Florida Vocal Association, Florida Orchestra Association, and the Guitar Foundation of America. A great program is the result of great kids, hard work and PARENT Support. The Riverview High School Chorus PO (Parent Organization) is a vital part of ensuring that our students are given the opportunity to experience everything a music education and singing in a choir have to offer. The PO is made up of parents, friends and alumni who believe in what the Riverview High School Choral Program teaches and stands for. The purpose of the PO is to support the choral program in all of its educational and performance endeavors by providing chaperones, volunteers, transportation and financial support to enrich the choral program. Anybody who wants to support the choral program can be part of the PO. The PO meets once a month to develop, discuss and share current and future projects to tackle for the program. We are always in the need of support from our community and friends. Support is always appreciated and can come in many different ways; just ask us how! When you type it in once, it should be automatically saved for future uses and appear on the website for convenience. Access important handouts, keep your contact inormaion current, access your sudnet's choir account, use the recording studio for assignemts and to practice, sign up for volunteering opportunities and view assigned music and wardrobe by logging into charms. Click below and enter the school code: riverviewhschoir followed by your student's N# (enter the N followed by the digits) as the password to acces your account. If you or your student changed your passwprd and you have forgotten, contact Mr. or Ms. Verdoni to reset the password to the N#. If you were ever a memebr of the RHS Choral Program we would like you to stay connected with us. Please fill out the Alumni Form to ensure we have your most updated contact information. You will receive important news and updates periodically including upcoming concerts and ways you can can help.